Are Your Habits Keeping Your Household Poor? The way a family manages their money predicts how financially stable they are now and will be in the future. 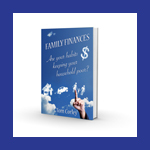 Unhappy with your family finances? Send for our free E-Book, and learn about the daily habits that wealthy individuals use to ensure their financial security and that of their families.